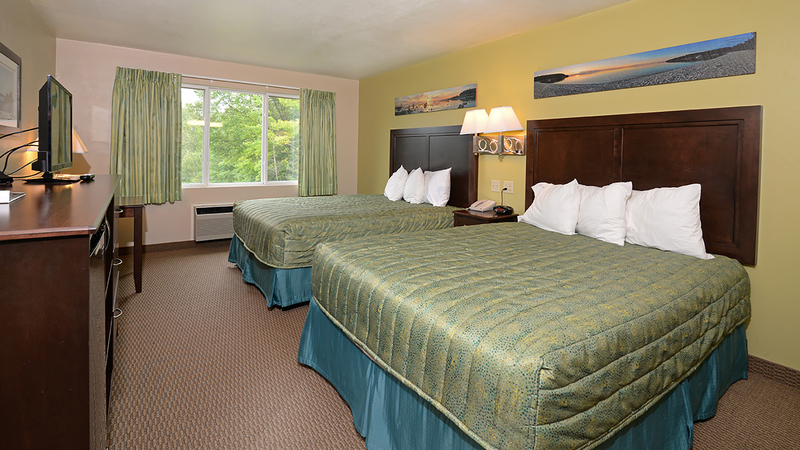 Affordable Lodge Rooms, Kitchenettes, Newly Remodeled Deluxe Rooms and Suites with wood burning fireplaces. Indoor Pool, Whirlpool, Game room, Playground, Grills, Picnic Tables, Hiking Trails. Sun deck overlooking the woods. Located on the north end of popular Fish Creek - across from Peninsula State Park property. 800-433-7592 or www.parkwoodlodge.com for info!